Blake Lively, fashion detail, attends the Heavenly Bodies: Fashion & The Catholic Imagination Costume Institute Gala at The Metropolitan Museum of Art on May 7, 2018 in New York City. Blake Lively styled her hair into a twisted bun for the 2018 Met Gala. 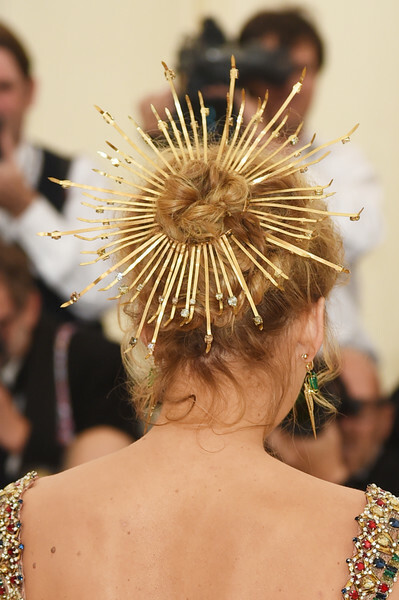 Blake Lively finished off her 'do with a spiky gold headpiece.